Winner at the ‘Best of Bio Award 2006’, this fine dark chocolate bar, refined with orange essential oil, is a real treat for the taste-buds. The cocoa, cane sugar and all the other ingredients which go towards making this mouth-watering range of chocolate by Vivani are organically grown in an ecological manner with wide-ranging, positive effects. Cocoa mass*, raw cane sugar*, cocoa butter*, orange essential oil*. Cocoa solids: 70 % minimum. 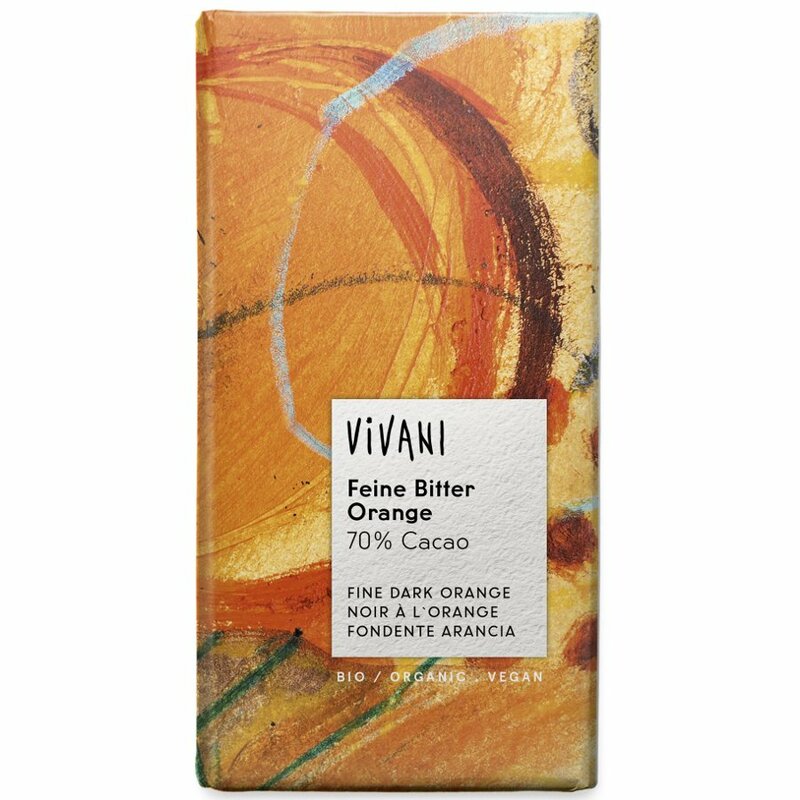 The Vivani Organic Dark Chocolate & Orange - 100g product ethics are indicated below. To learn more about these product ethics and to see related products, follow the links below. Excellent quality dark chocolate with a good orange flavour. One of my favourites. Very good flavour and suitable for vegans. 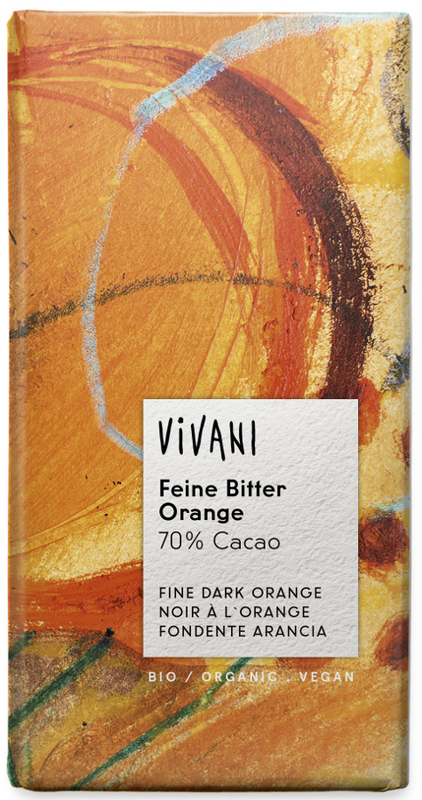 There are currently no questions to display about Vivani Organic Dark Chocolate & Orange - 100g. VIVANI chocolate products were first presented at the world's largest organic trade fair in 2000, and are made by Ludwig Weinrich, a family business in Germany. They use only the finest organically grown ingredients, and state that their 'major concern is to invest in healthy agricultural practices in countries where our raw materials come from', as well as saying 'we feel it is our responsibility to know exactly where the cocoa comes from and that it is our duty to ensure the protection of the local people and environment'. By using crops from developing regions they help to promote small scale farming and to protect the environment from pesticides and other chemical products. The higher prices they pay for organically grown cocoa beans and raw cane sugar result in a higher standard of living for the producers. Their products carry the German Bio-Prüfsiegel (certificate of organic growth) and are inspected on a regular basis. They also campaign against child slavery and donate towards 'Kindernothilfe ' projects for disadvantaged children in Haiti. Furthermore, many Vivani products are suitable for gluten free, lactose free and vegan diets!